Camp Vega has one of the best summer camp tennis programs for girls in the country! Whether you’re an absolute beginner who wants to get started or a tournament player hoping to play on your school team or in USTA tournaments. 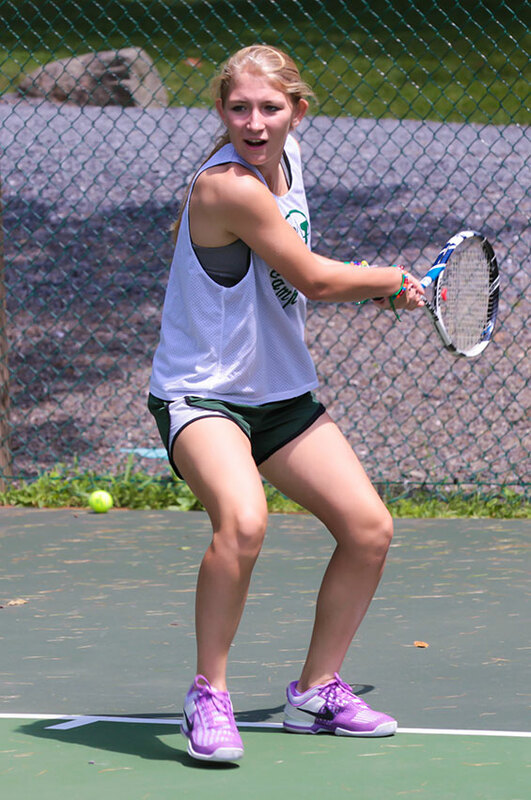 We have caring, talented, fun instructors who will make sure that you get what you expect from our tennis program. Girls can play tennis everyday, and private instruction is available as well at no extra cost. We have lit courts for night play and early bird play if you’re motivated to come down before breakfast. You can be part of our in-camp ladder tournaments or our inter-camp teams that play girl from other New England camps. Our 11 hard courts are in tip-top shape as is our backboard, and our shaded tennis gazebo is a good place to get ready for play.